WILLEMSTAD - When your business absolutely, positively cannot go down, you need a Tier IV datacenter. If you want the peace of mind that your business will not be impacted during floods, earthquakes, hurricanes, and other threats, then there is no better place to house your critical computing infrastructure and applications than at our Uptime certified Tier IV datacenter - the highest rating for a data center and the only one of its kind in Latin America and the Caribbean. Too, Curaçao's unique geographical positioning makes it an ideal hub for companies conducting business in Latin America and the Caribbean. We explore the fiscal benefits of leveraging the CTEX data centers in Curaçao while at the same time establishing a regional operational hub or shared service center on the island. A European-based privacy laws are favorable, taxes are low, and there are no import duties on technology equipment. A multicultural populace, that speaks English, Spanish, Dutch, and Portuguese, also makes the island an ideal location for transnational commerce. 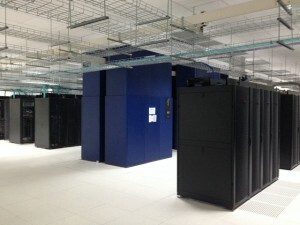 While establishing a local operating entity in Curaçao is not a requirement for leveraging the region's most advanced data center, international companies can greatly benefit from various favorable fiscal regimes by establishing a regional operational hub or shared services center in Curaçao. The public limited liability company (NV or BV) is the most commonly used legal entities in Curaçao. A legal business may be incorporated by one or more shareholders. A notarial deed of incorporation defines the statutes and regulations governing the company and the conduct of its affairs. Such incorporation can be accomplished in a matter of days. Once incorporated, the company is registered with the commercial registry of the Chamber of Commerce and Industry. An E-zone is a designated area in Curaçao where amongst others, international trade and trade support services may be performed, including but not limited to electronic commerce. The activities of companies located in an E-zone area should in principle focus on providing services to international entities located outside of Curaçao (the profit from activities with local companies may not exceed 25%). One of these zones is the E-zone in which the CTEX datacenter is located. Profits of E-zone companies generated from international activities are taxed at 2%. There is no dividend withholding tax in effect on subsequent distribution of profits. Furthermore, services rendered outside of Curaçao are not subject to turnover tax in Curaçao. Too, there is a zero import duty tax regime for companies residing in an E-zone area. This is of particular interest if you are importing critical computing equipment to reside in the CTEX datacenter. The OECD continually works on developing new guidelines to counter tax evasion and tax avoidance. OECD and EU countries are expected to implement standards regarding transparency and exchange of information to bring their tax laws in line with international standards. Curaçao has chosen to comply with these international standards and to be transparent, while providing tax incentives to attract foreign investment to the island. This effort has been recently reinforced by a self-initiated pro-active scan of the Curaçao tax legislation to make sure it is in line with international standards and to determine which areas need to be further strengthened. Curaçao has therefore established a competitive legal and tax legislation in line with the requirements of the OECD. This means Curaçao is a white listed jurisdiction for many countries and therefore viewed as a solid jurisdiction from where to conduct business. 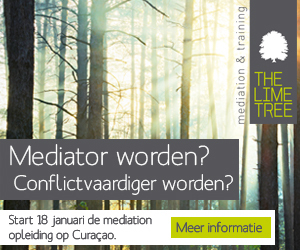 There is a special regulation applicable to internationals employed in Curaçao. In order to benefit from this regulation various conditions have to be met. The major advantages of this regulation are that (i) certain employment benefits can be granted tax-free and (ii) no tax gross up is required in case of a net salary agreement. When an employer enters into a net salary agreement under which the wage- and income tax of the employee are for the account of the employer, the net salary does not have to be grossed-up. Companies that almost exclusively generate profits from qualifying export activities (greater than 90%), can apply for the export facility status. Qualifying activities are, amongst others, e-commerce and other services provided to entities located outside of Curaçao. To qualify for the export facility the company (or affiliate) should have appropriate substance in Curaçao. For instance a regional operational hub, a shared service center or consolidated regional computing facility at the CTEX datacenter. Generated income is taxed at an effective profit tax rate of approximately 3.9%. Curaçao offers many tax incentives for creating a regional hub of the island. These initiatives include, amongst others the ability to establish a Tax-exempt company. If conditions are met a Curaçao private limited liability company can opt for a tax-exempt status for profit tax purposes. We are confident that aside from leveraging the region's most advanced data center, Curaçao also brings about many business benefits worth exploring. Together with our partners, we can help protect your business and IT assets while at the same time exploring the various business opportunities of leveraging Curaçao as a regional operational hub. Let's talk.